We are thrilled to welcome Champaca to our farm and breeding program. 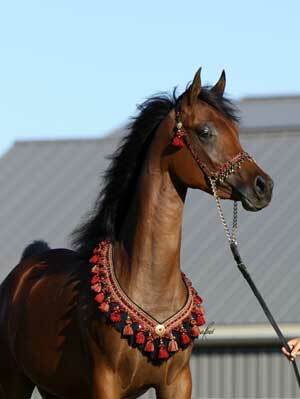 She brings to us bloodlines of some of the most outstanding Straight Egyptian horses in the world. Through her sire Al Maraam (Imperial Imdal x The Vison HG) and Dam MB Ruhammena (Tammen x Ruhawa) we are excited to add her to our breeding program. Champaca is a gorgeous mare with huge eyes, classic head, long neck and stunning body. She is an incredible mover and loaded with presence and type. Champaca has produced a lovely EBC nominated colt for us this year. This colt (Kamal Jaleel - name pending) is really quite lovely and as we have so many boys he is available for purchase as well as eligible to show in the EBC money class at the 2014 Egyptian event. Her name means "Sound Maker" as she always delighted us with her Nickering while standing in what we ended up calling her "Speakers Corner" Rahnanah is a perfect image of both her Sire and Dam. Her pedigree is exceptional with the truly stunning Botwana (Thee Desperado x The Minuet) and the classic beauty of our Goharah (Ansata Iemhotep x Gasawa). Rahnanah was blessed with a beautiful head, large eyes, lovely body which moves with exceptional fluidity. 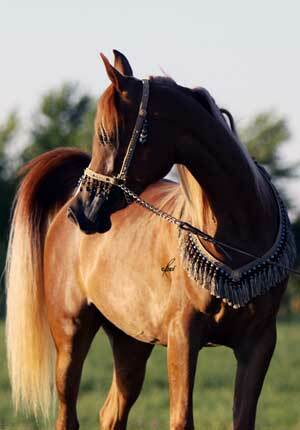 Honest is our first Straight Egyptian mare that we purchased for our breeding program. Honest is simply "Classic". Her beauty astonishes us still daily. Her kind nature has been passed down to all her foals, as has her beauty. Honest was bred to Skalah for 2013 and has produced one of our best fillies to date, Aminat Al Hilal. We look forward to breeding her back to Skalah in the future. Goharah came to us through Speah and we can't thank them enough! 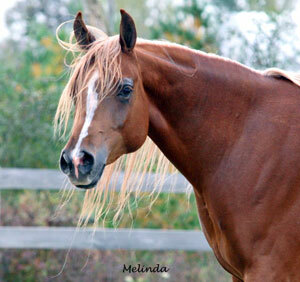 She has the classic Ansata look and grace and has passed this along to all her foals. She moves like a power house and we never tire of watching her run. Goharah has produced some our best horses. Rahnanah and Tahleel Al Gamal whom we are retaining and Jamil Rakass and this year a truly STUNNING show quality filly Moniet Abadiyah who are available. 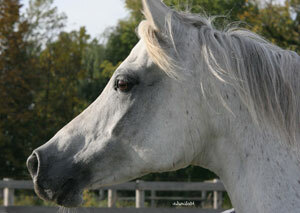 What is so wonderful about Goharah is that she is always producing great beauty and movement to all her foals. We have bred her back to Skalah for 2014.